The LBS-300s allows for the control and adjustment of the laser beam output power reaching the camera. The splitter works by transmitting approximately 99 percent of the beam sampler with 0.01 percent passed on to the camera. The beam sampler provides a beam image that is polarization corrected to restore the polarization components of the original beam. 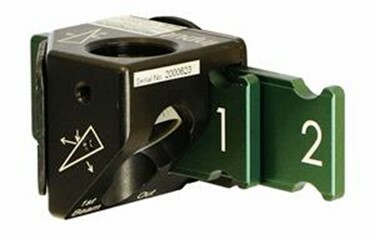 The LBS-300s attaches to C-mount, CS-mount, or Ophir mount cameras, and a set of adjustable ND filters are provided for final intensity adjustments before the beam reaches the camera imager. For more features and specifications on the Ophir® LBS-300s beam splitter, download the datasheet.